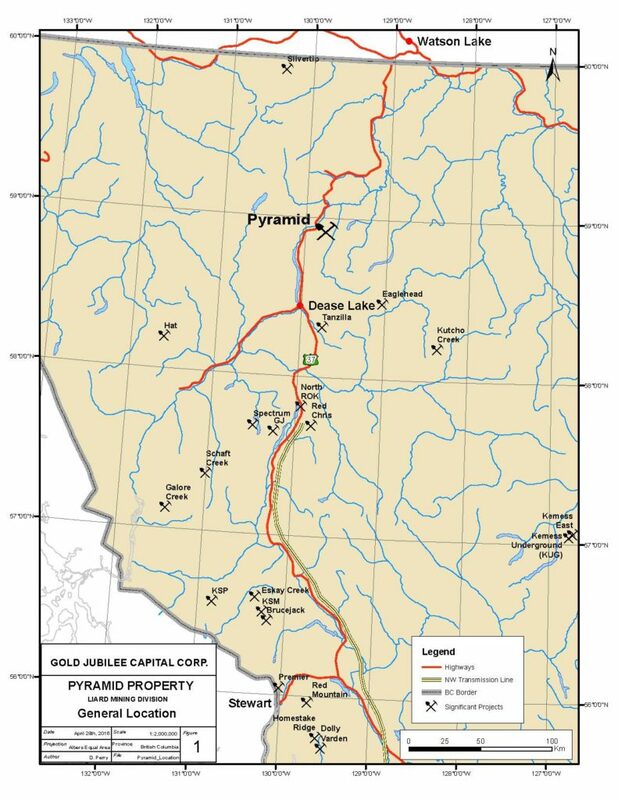 The road accessible 127km2 Pyramid project is located 65km north of Dease Lake in NW British Columbia. The grassroots Cu-Au porphyry exploration project is located within the prolific Quesnel Terrane, home to porphyry Cu-Au mines such as Mt Milligan, Mt Polley, and Gibraltar. The project is comprised of the MT, Central, and East Zones. Large portions of the property remain untested including significant areas along trend with the highly prospective MT target. The property is road accessible with the MT zone being ~3km from the road.